Home B: Community What To Do: Christmas celebrations are everywhere! What To Do: Christmas celebrations are everywhere! Dec 14th, 2018 · Comments Off on What To Do: Christmas celebrations are everywhere! The Christmas season seems a little different this year. The holiday spirit is in the air but the traffic around malls and shopping centers is almost normal — thanks to online shopping trends. 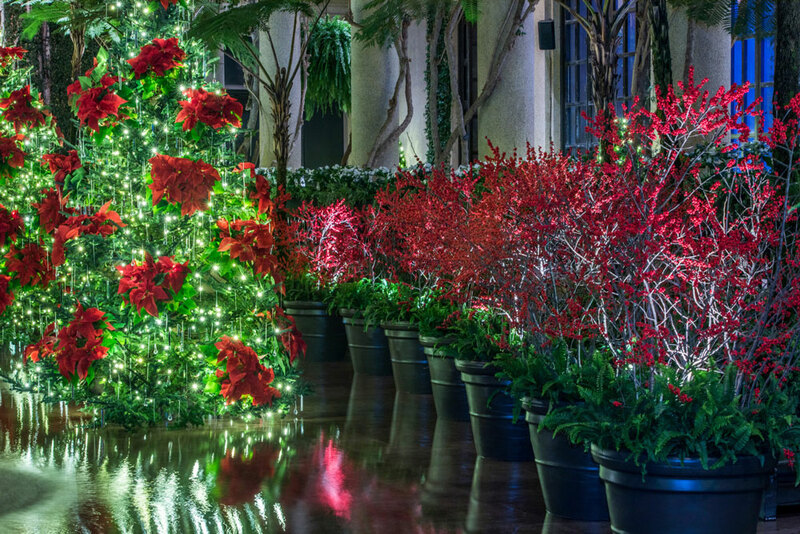 One thing will never change – the omnipresence of Christmas events. They are truly everywhere. Over the next week or so, you can head in any direction and find a holiday event to attend — and maybe even a few events that are not holiday-related. 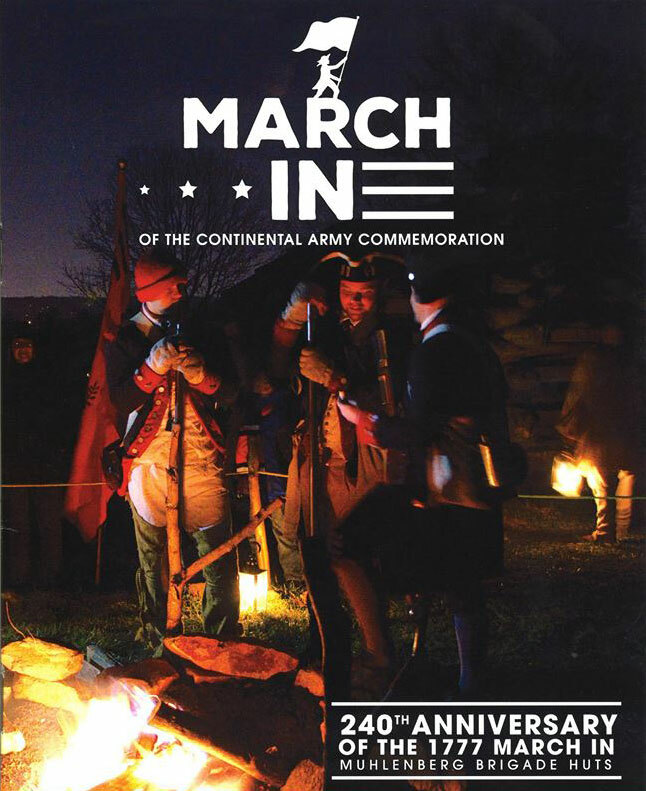 On December 19 from 6-8 p.m., Valley Forge National Historical Park (Route 23, Valley Forge, 610-783-1099, www.nps.gov/vafo) is presenting its annual March-In. The event commemorates a major happening in the American Revolution — the arrival of the Continental Army at Valley Forge in 1777. 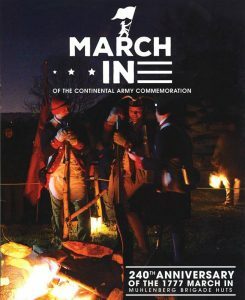 Visitors to the park can join living history interpreters for candlelight tours and a “march” to up to Muhlenberg’s Brigade. There will be demonstrations of camp life by historical re-enactors along with park staff and volunteers. The candlelight tours are a quarter-of-a-mile and the camp life demonstrations are outside so attendees should dress for weather conditions of the day. There will also be a lot of activity in the Visitor Center which will be open all evening. There will be performances by the Colonial Revelers singing group and free refreshments. Visitors will be able to meet General Washington, warm up around a campfire, watch a historic chocolate making demonstration and sample an 18th-century hot chocolate recipe featuring American Heritage Chocolate. This event is weather dependent so check the park website, Facebook, or call 610-783-1000 for cancellation notices. Also, on December 16, Washington Memorial National Carillon at Washington Memorial Chapel in Valley Forge will host “Caroling at the Carillon”, a Community Christmas Carol Sing-Along from 7-8 p.m. Participants will be able to sing their favorite Christmas Carols accompanied by Doug Gefvert playing the 58-bell carillon. This event, which is free and open to the public, takes place in front of the carillon tower, so dress warmly! Even though the big day (little day) doesn’t arrive until Thursday, you can jump the gun and celebrate early at a pair of special events this weekend. 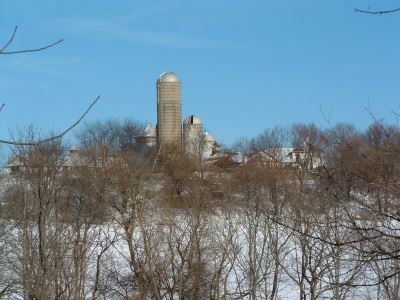 On December 19, the Norristown Farm Park (2500 Upper Farm Road, Norristown, https://www.montcopa.org/874/Norristown-Farm-Park) is presenting a special event to celebrate the winter solstice. Visitors to the park will learn about the winter solstice and how animals survive the cold season by adjusting their physiology and behavior. There will be a talk about some of the changes the animals make during the winter. Some people celebrate a 12-day holiday called the Yule. Many modern traditions, such as the Christmas tree, the Christmas wreath, and the Yule log were derived from winter solstice customs. The celebration of the day was interpreted as a reawakening of nature. Children will hear a seasonal story and make a winter solstice craft. The event will start at 1 p.m. in the Salt Wing. Admission is $5. 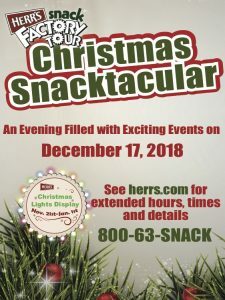 The time for the annual holiday event at Herr’s Snack Food Factory (20 Herr Drive, Nottingham, 610-932-9330, www.herrs.com) has arrived. “Christmas Snacktacular,” which is scheduled to run from 5-8 p.m. on December 17, features a variety of activities nightly. The area around the factory site will be illuminated with thousands of lights and holiday displays. 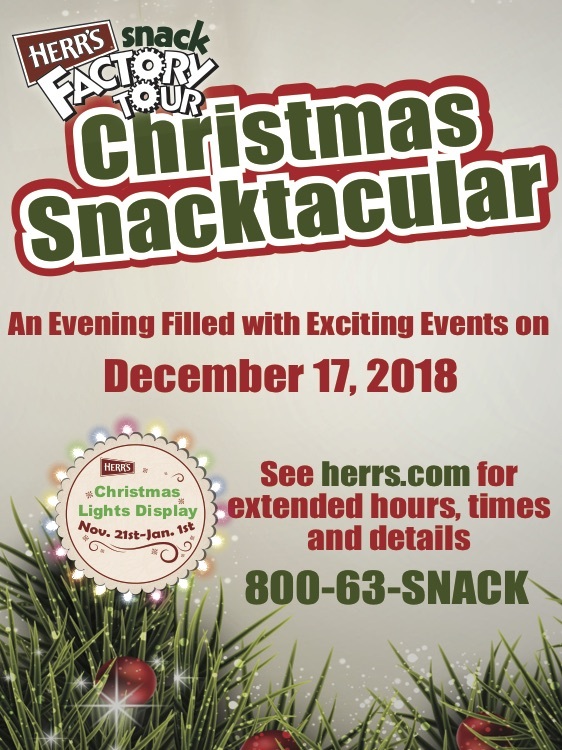 “Christmas Snacktacular,” which is free and open to the public, will have hayrides through the “Holiday Light Display” and other outdoor activities. Santa Claus will be on hand to meet with the kids and there will be a special appearance by Santa’s live reindeer. As an added attraction, Herr’s annual “Holiday Light Display” is running now through January 1. The special light exhibit will be open daily from dusk to dawn. Another way to get in the holiday spirit in Kennett Square is by taking a special seasonal ride. 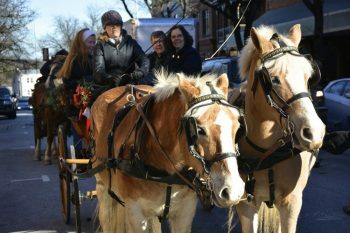 Horse-drawn carriage rides will be offered in downtown Kennett Square on December 16 and 23 from noon-3 p.m.
Special events and tours will be held throughout the holiday season including “Candlelight Tours” at 7 p.m. on December 18, and 27; “Festive Foods/Hearth Cooking Demonstration” on December 15, and 29 from 10 a.m.-3 p.m.; “and “Curator Candlelight Tour” on December 20 at 5 and 7 p.m. The special “Santa’s Express” trains (which feature heated cars decorated for the holidays) will run on December 15, 16, 22 and 23 at 11 a.m., 1 and 3 p.m. There will be additional departures at 5 p.m. on December 15, 16, 22 and 23. (2201 Newport Gap Pike, Wilmington, Delaware, 302-998-193, www.wwrr.com) will run its “Santa Claus Express” on Saturdays and Sundays between Thanksgiving and Christmas. The Strasburg Railroad will also be running its “Night Before Christmas” train on December 14, 15, 21 and 22. The “Santa Claus Polar Express Train” is running on December 15-23. The “’Twas The Night Before Christmas Train” will depart on December 14-23. The “Snowflake Special” will run from December 25-31. The Middletown & Hummelstown Railroad (136 Brown Street, Middletown, 717-944-4435, www.mhrailroad.com) will be running its “Santa Surprise Trains” on December 8, 9, 15, 16, 22 and 23 and its “Polar Bear Express” on December 14-16 and 21-23. 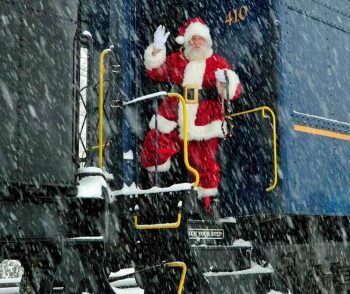 The Allentown and Auburn Railroad (35 Railroad Street, Kutztown, 570-778-7531, http://allentownandauburnrr.com) is running special “Santa Claus Train Rides” on December 15, 16, 22 and 23. If you want to see a holiday show on stage, consider attending out the Barley Sheaf Players’ (810 North Whitford Road, Lionville, 610-363-7075, www.barleysheaf.org) production of “A Charlie Brown Christmas,” which is being staged December 14, 15 and 16. The production, which is directed by Christine Robinson, has performances scheduled for December 14 at 7 p.m. and December 15 at 2 and 7 p.m. Tickets are $17 for adults and $13 for students (18 and under) and seniors (60 and over). Tickets sell out quickly so check with website before making plans. 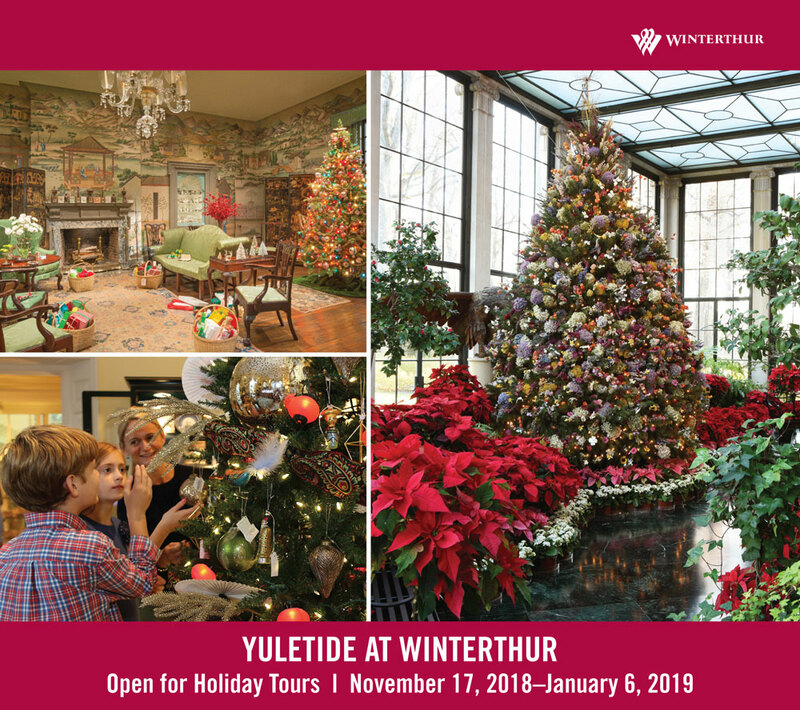 A popular annual holiday event in the Lancaster area is Yuletide at Wheatland (President James Buchanan’s Wheatland, 1120 Marietta Avenue, Lancaster, 717-392-4633,http://www.lancasterhistory.org/events/yuletide-at-wheatland). Another Lancaster County attraction is “Holiday at Landis Valley Bonfire” which will be held December 14 at Landis Valley Village and Farm Museum (2451 Kissel Hill Road, Lancaster, 717.569.0401, www.landisvalleymuseum.org). The museum is welcoming the community to spend an evening with at the site to celebrate a Pennsylvania Dutch Christmas from 6-8:30 p.m. 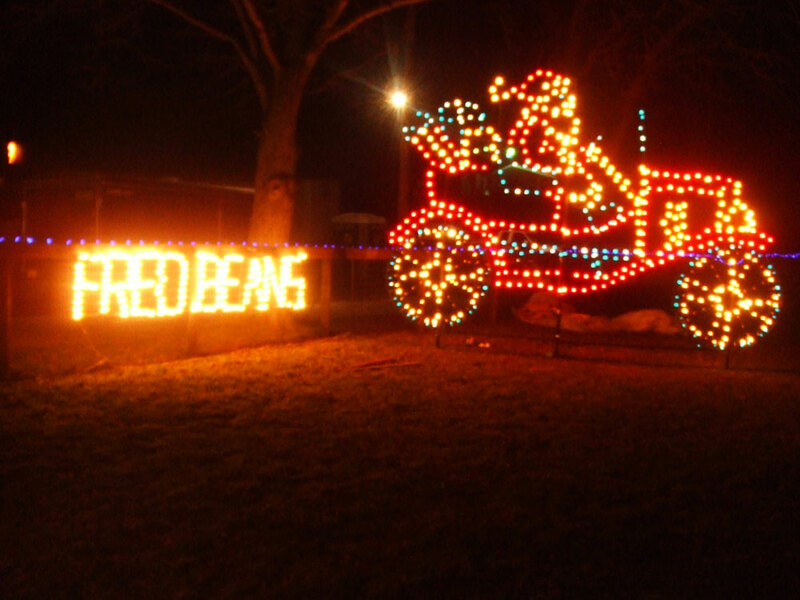 Visitors will be able to take a wagon ride, tour several of the site’s decorated gather join together in the Yellow Barn for cookies and hot cider. 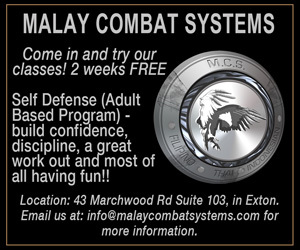 The event is free and open to the public and there is ample free parking. Landis Valley asks that visitors bring one or more non-perishable food items to the event. 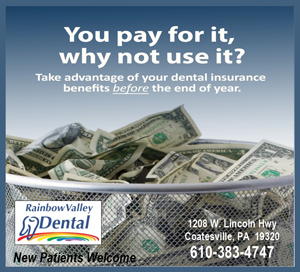 Donations will go to the Lancaster Food Bank. The showcase event of the “Free at the Kimmel Series” each year is always “Tuba Christmas.” This year, it will be presented on December 16. The annual “Tuba Christmas” celebration has been such a success, the Kimmel has opted to present two performances that will feature as many as 100 local tuba, sousaphone and euphonium players who gather, rehearse and perform holiday classics — all in the same day. 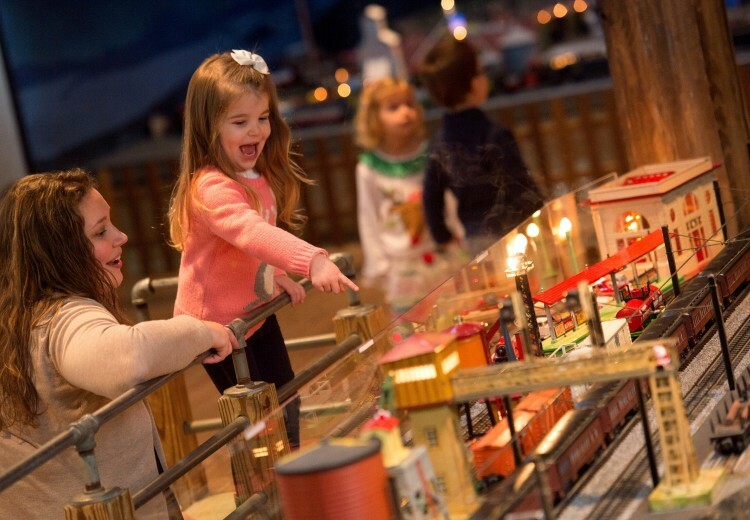 Performances are scheduled for noon and 6 p.m.
Another “Free at the Kimmel” holiday shows will be “New Year’s Day Celebration!” on January 1 from 10 a.m.-6 p.m.
Other free events on New Year’s Day will be “PNC Grow Up Great” at 11 a.m. and Fred J. Cooper Memorial Organ demonstration at 1 p.m.
It’s a sure sign that winter has arrived when season opens for the Blue Cross RiverRink (Delaware Avenue at Walnut Street, Philadelphia, 215-925-RINK, www.riverrink.com). On December 15, Please Touch Museum (Memorial Hall, 4231 Avenue of the Republic, Philadelphia, www.pleasetouchmuseum.org) will host its annual “Polar Express Family Festival” and offer visitors the opportunity to relive the magic of this popular children’s story. Polar Express Family Festival will run from 9 a.m.-5 p.m. Admission is $19. There will be a special holiday attraction at LEGOLAND® Discovery Center Philadelphia (500 West Germantown Pike, Plymouth Meeting,https://philadelphia.legolanddiscoverycenter.com). 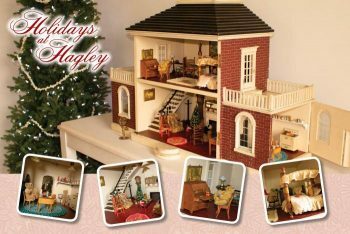 “Holiday Bricktacular” features special seasonal programming and themed attractions on December 16, 16, 22, 23, 29 and 30. LEGO Santa will return to the Center throughout the holiday season to greet families and spread holiday cheer. 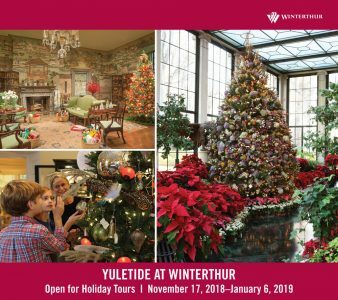 Additionally, guest can participate in holiday-themed build activities including an ornament building station, explore the Winter Wonderland version of MINILAND Philadelphia, and take part in The Elves Workshop with the model builder team. Amusement parks are great holiday destinations.